Removing the agave took some heft, but it wasn’t too bad since it was dead. 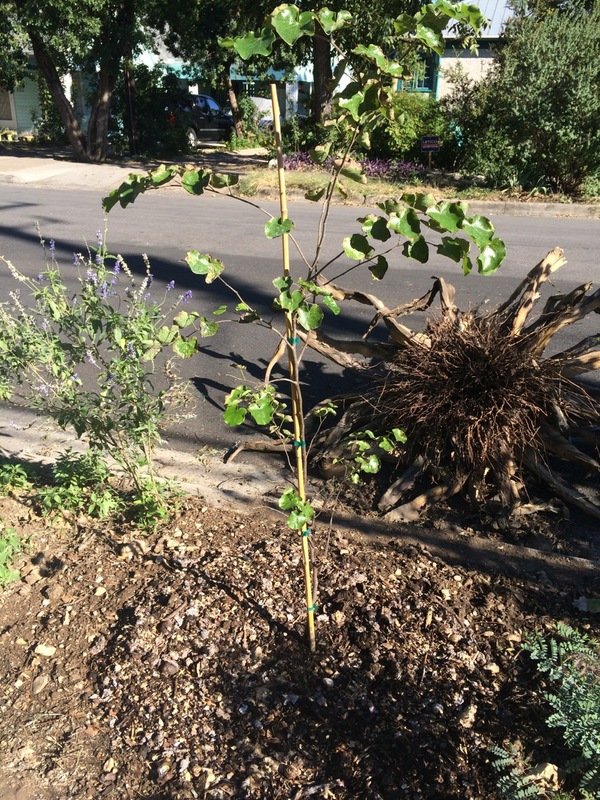 I planted a Mexican Red Bud tree in its place. 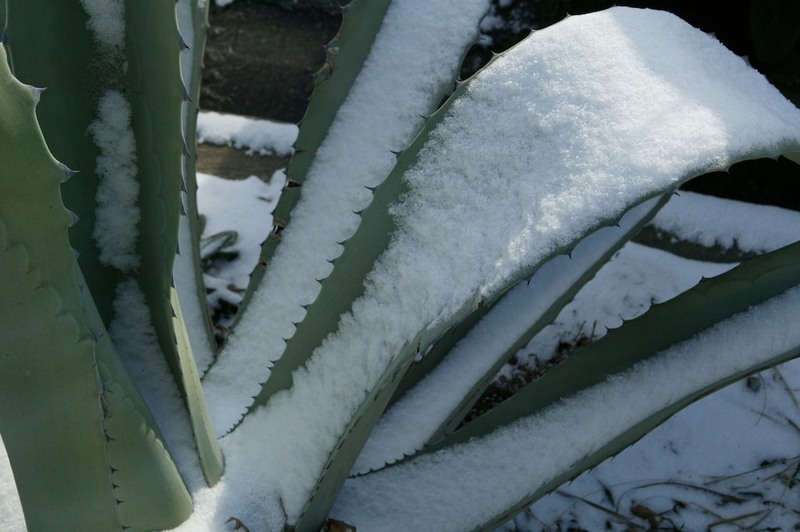 Since agaves are the native plant of the week, I’m sharing a photo array of agaves in the snow in Austin, Texas. These photos were taken by my husband between 9:00-10:00 am this morning. 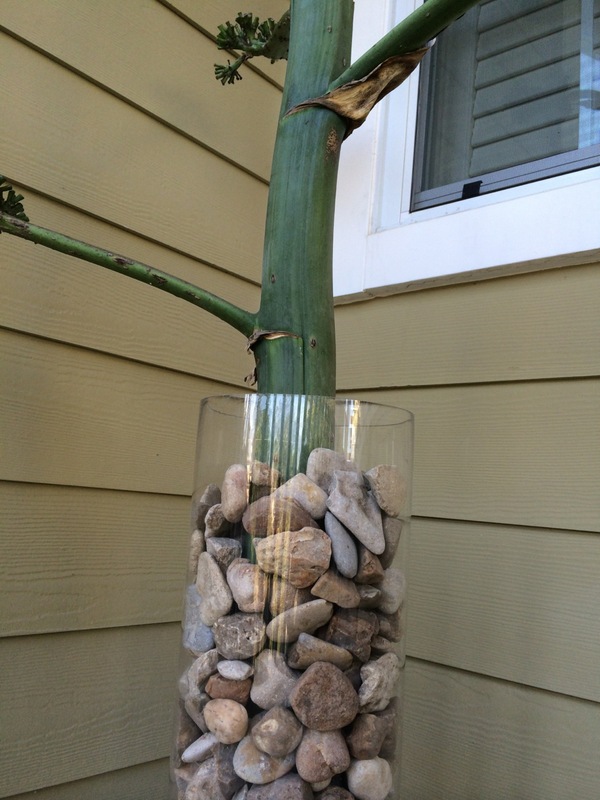 Agaves capture water with their curved leaves. 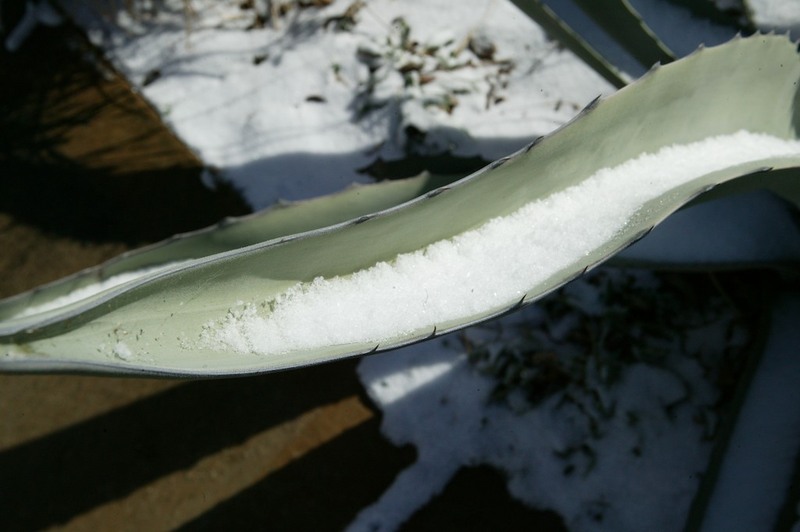 Snow is captured there, too, and will travel to the base of the plant when the snow melts. 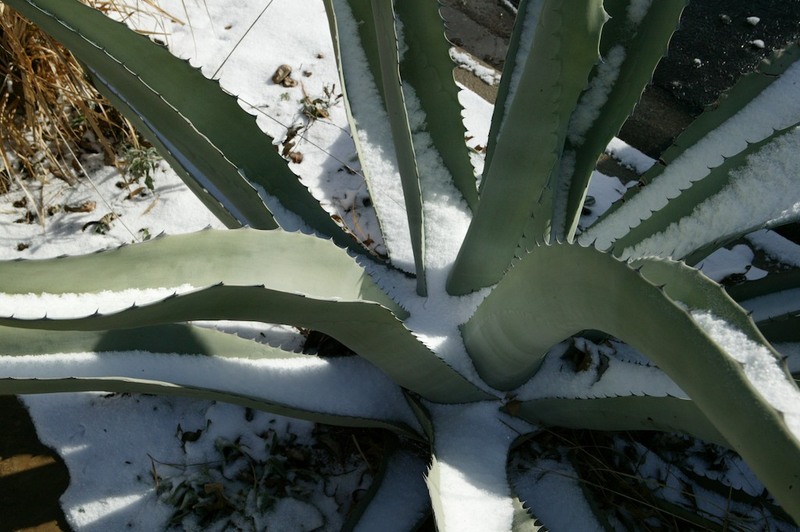 Today’s native plan of the week is the agave americana, also referred to as a Century Plant. These are beautiful green-blue cactuses who love full sun. However, they can get damaged, as you can see in the picture above, when temperatures drop too low (in my experience, under 30 degrees F). The leaves will restore themselves over time, but you’ll have to put up with ugly, burned leaves for several months. The agave above was on my property when we purchased our home, and it actually raises another important characteristic. These agaves become enormous – 6 to 12 feet high and wide! At my house we had, not 1, not 2, not 3, not 4, but 5 of these along what’s called the “hell strip” the 4 ft area between the sidewalk (if you have one) and the street – and then another 2 on the other side of the driveway. 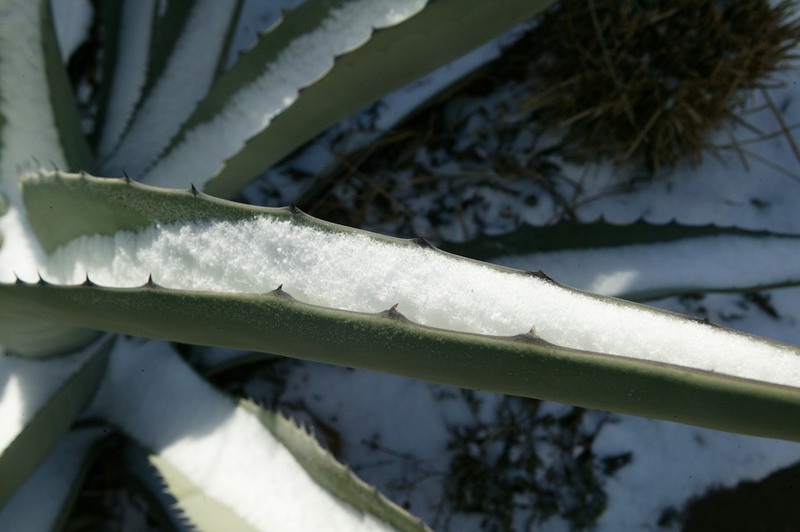 This is a very hot area which could be fantastic climate for the agave, but it is not large enough space for even 1 agave! 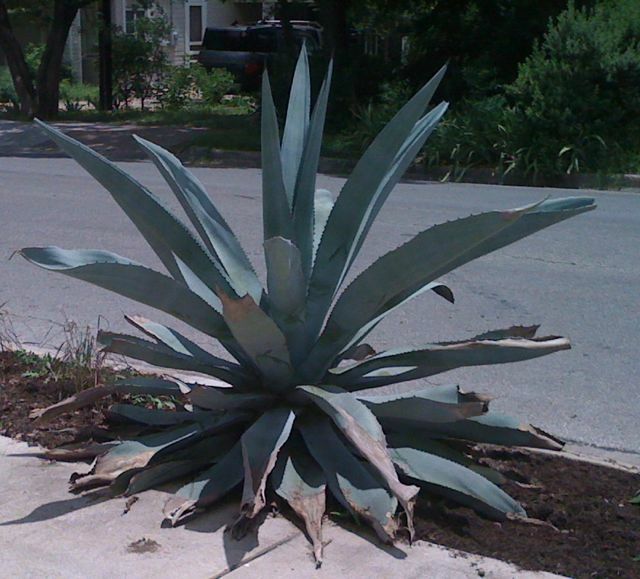 The agave can do damage to cars parked on the street, bicyclists riding by, and anyone walking on the sidewalk. These leaves have thorns that will draw blood easily. The agave does bloom – and the blooming is an uncertain science. Generally people indicate they bloom after 10 years. But others say it could be 25 years. The blooms are incredible sight, as a large stalk grows skyhigh – at a rate of about 1 foot per day! Flowers emerge on the stalk. 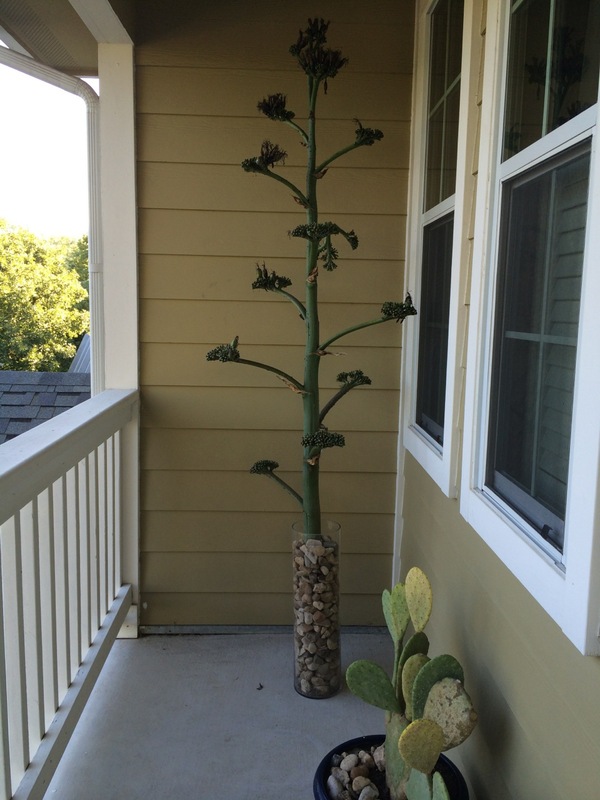 After it is done blooming, the century plant dies. 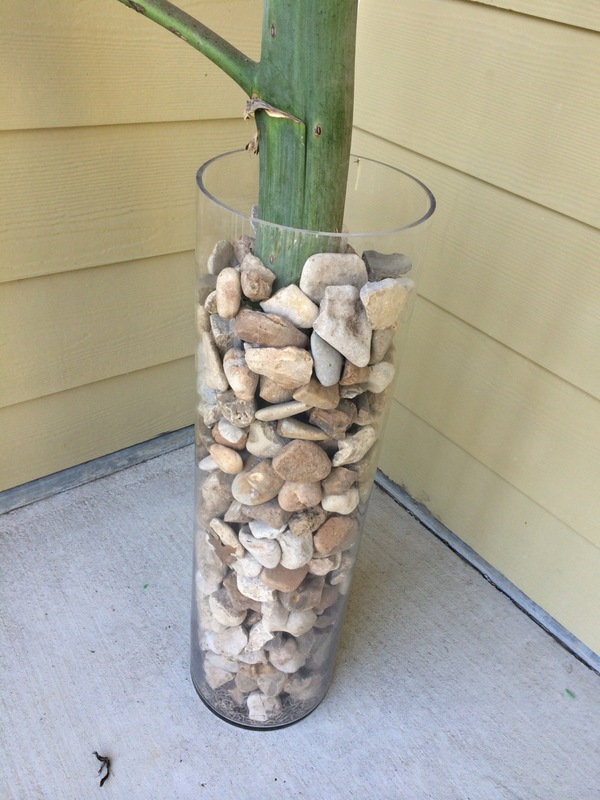 But do not fear its death because you can be assured of having many baby agaves near the site that will quickly replace your dead agave. The uncertain bloomtime is what convinced us of the need to remove these agaves in front of our house. We would have waited until they bloomed but it might have been 5-20 years. Unfortunately, they were planted without considering the golden rule: the adult size of the plant you are planting. Thus, these agaves, only 4-5 years old, had to be removed. My husband took care of the task with a chainsaw and a shovel. He cut the limbs off first, and then we dug out the roots. The juice in these plants is like acid, so you should protect yourself fully from it. If you get the juice on your skin, it will burn and itch for many weeks. We still have one more which is also on death row because of its location near the street. There’s an agave in bloom on the north side of Ladybird Johnson Lake between Lamar and the boat dock near the high school. 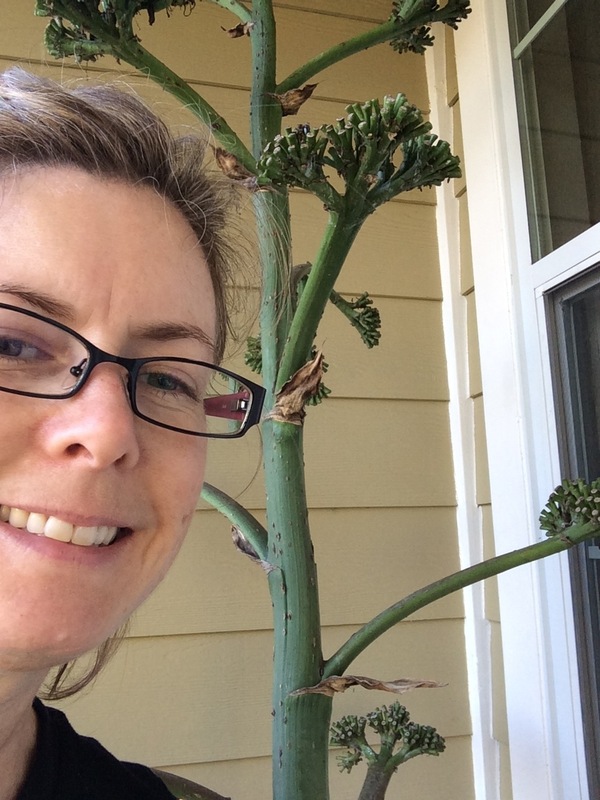 [I noticed today – 2/5/2011 – that the agave flower stalk has been removed and this specimen has died, though there are others nearby, but not in bloom.] Anyone know where others are in Zilker? 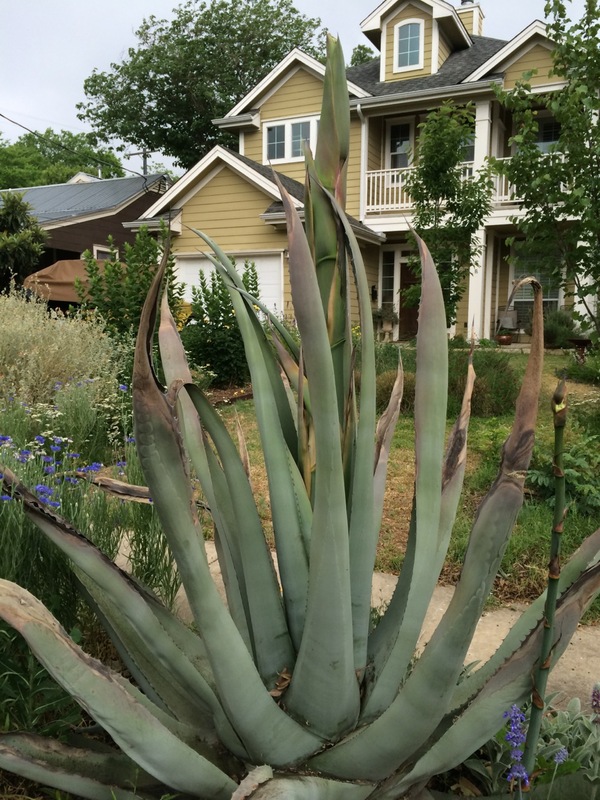 The agave americana is a grand plant worthy of showing off – but let my experience with agaves provide a lesson about planting plants in an area of size that makes sense. Make sure you plant these where they have 6-12 feet of room across all ways for growth. 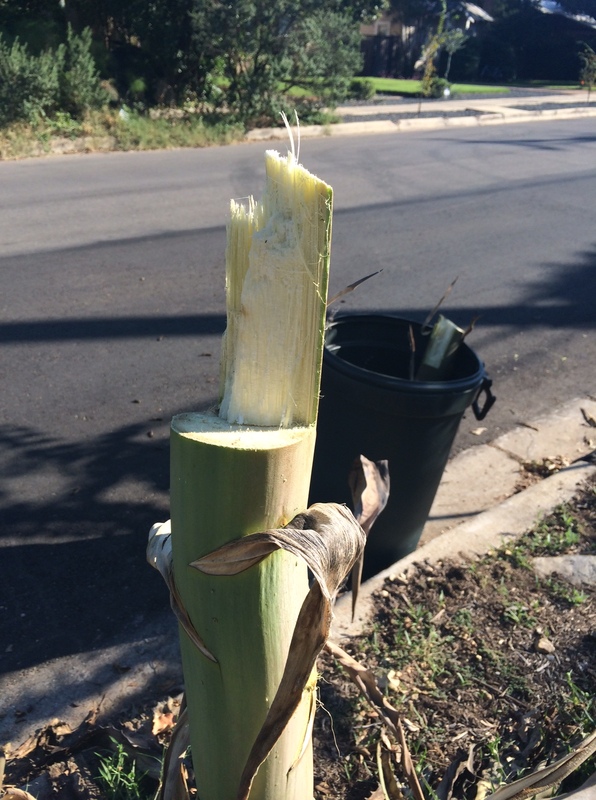 If you do this, you, your neighbors, and your plant will all be happy.